What is mercy and favour of God and how we can get it? Example of prayer – Prayer for Mercy and Favour of God. Word of God in Romans 9:15 says, “For He says to Moses, “I will have mercy on whomever I will have mercy, and I will have compassion on whomever I will have compassion.” This is a word of the Lord to Moses on the note of mercy. This part of the Bible shows that even though the mercy of the Lord stands sure but yet it is not for everyone. God is merciful and that’s the character of God that we Christians and non-Christians are enjoying. For one to be worthy of the mercy of the Lord, one must pray the prayer for mercy. This prayer is considered to be the highest or the ultimate prayer one can cry unto the Lord. Dear Lord, I thank you because you have made your mercy available to us all. It is by your mercy that I can stand before you to pray, it is by your mercy that I can face the day. I have come to seek your mercy this time again Lord, you have said in your word that you will have mercy on whom you will have mercy. I believe you will have mercy on me because I cry for mercy today. Please have mercy on me and let your mercy speak for me. I want to know how to forgive others too as you have forgiven me, I pray that you teach me. Amen. 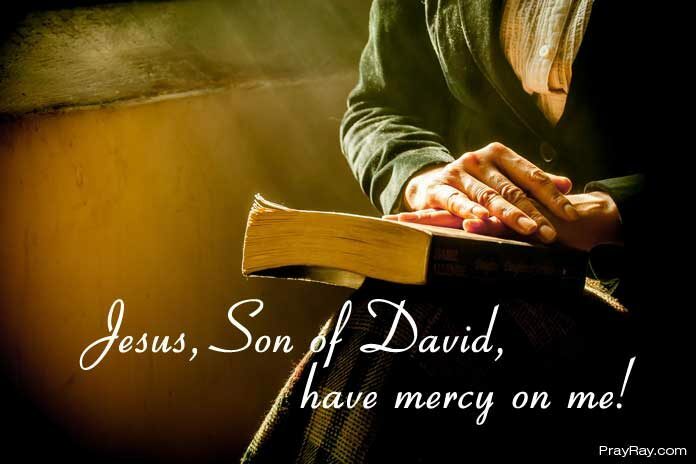 What is a prayer for Mercy? The prayer for mercy can be considered as a plea for change, it is synonymous to asking for forgiveness. It is also a prayer to seek for reduction of punishment. The punishment we get sometimes might be the result of our actions – we may have brought the punishment on ourselves or the result of what others have done. If things are getting worse for us in a time like this, that could mean we are not intensifying our prayer for mercy. The mercy of God endures forever. It existed in the Old Testament and in the New Testament and this why the Psalmist in Psalm 135 acknowledged that the mercy endures forever. Example of prayer. When God created man in the garden of Eden, everything was perfect because there was no sin. This is the life God has designed for the humans until the serpent came to deceive them and destroy the plans. This made men be removed from the comfort zone. God did not want his work to be destroyed that is why he came with another plan. Jeremiah 29:11 “For I know the thoughts that I think toward you, says the Lord, thoughts of peace and not of evil, to give you a future and a hope.” This is the new plan of God but then through one man, sin came to this world and we are all sinners. How can we now enjoy this new plan, which is of good and not bad? That is why the mercy of God came into existence. Why is it important to pray the prayer for Mercy? The prayer changes a life. It brings God’s hand to act. 1. The prayer changes a life. Jabez is a good example – he was born in pains and his life was not in a good shape. He must have realized that the mercy of God is available to change his story and bring him out of pains. Even though it is true that in this life, one must face some challenges and some bad situations but then, it does not mean we should be comfortable with bad situations or adapt to them. This is why we must seek mercy, bad situations must change. Mercy is for everyone but you must pray to get it. No matter how bad your situation can be or the sins you have committed, the mercy of God can cover it all. 2. Mercy gives you peace. 3. It brings God’s hand to act.